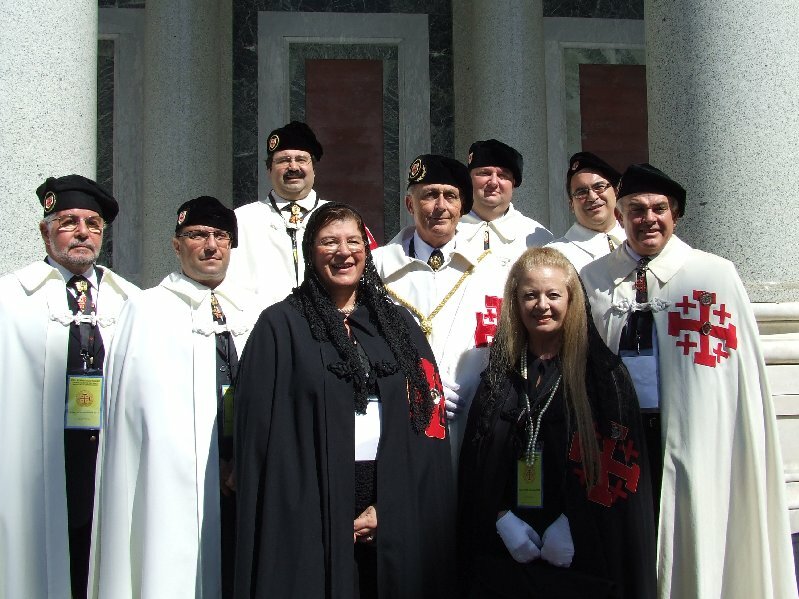 On the occasion of the Year of Faith, some 3,200 Knights and Dames of the Equestrian Order of the Holy Sepulchre of Jerusalem flocked to Rome from all-over the world for a three-day pilgrimage which took place between the 13th and 15th September 2013. For this occasion, the Lieutenancy of Malta sent a delegation of 16 people made up of two dames, 6 knights and 6 friends of the Order. The delegation was led by H.E. the Lieutenant, Knight Grand Officer Eric Fenech Pace. 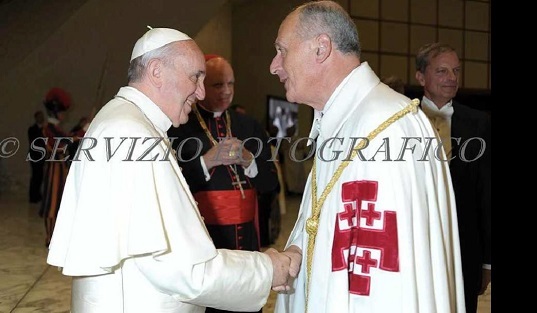 During this event the Lieutenant had the unique opportunity to personally meet Pope Francis. The pilgrimage opened with a High Mass celebrated in the magnificent basilica of San Paolo Fuori le Mura, which stands upon the holy tomb of the Apostle Paul. This was followed in the afternoon by an audience with Pope Francis, in the Pope Paul VI Audience Hall, who, while praising the Order for its commitment in supporting Christianity in the Holy Land, stressed that every Christian is personally responsible for the Holy Land. On Saturday 14th, the knights and dames attended a concelebrated high mass at the Vatican also celebrated by the Cardinal Grand Master of the Order, His Eminence Edwin. F. O’Brien. The pilgrimage was concluded on Sunday 15th with another liturgical celebration and investiture of French and Brazilian knights and dames at the basilica of San Paolo Fuori le Mura. Lay Master of Ceremonies Commander Ray Cassar together with other Delegates from the Maltese Lieutenancy and friends of the Order.